The DAX didn't move much yesterday in the absence of any major catalyst, and this is one of the reasons for the index to range and consolidate. Most of the stock indexes around the world also presented a mixed and confused picture. No major data expected today either, although the DAX futures are pointing towards a slight lower open. 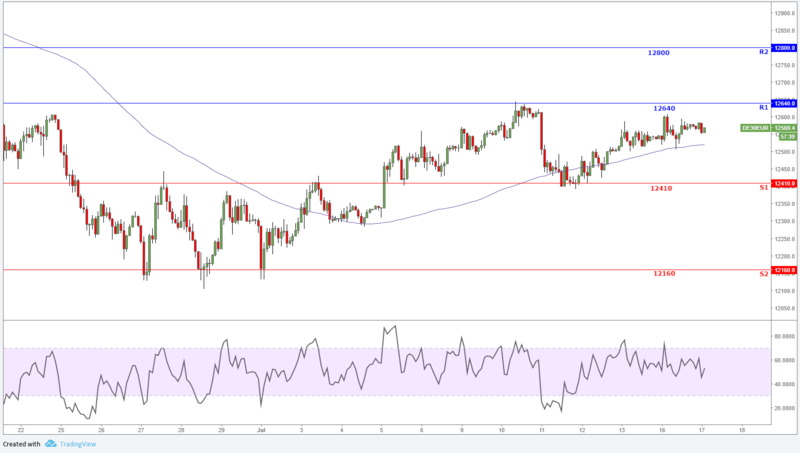 The short term momentum of the index is slightly positive, however it looks like the index will keep trading in a steady manner between the support-resistance lines at €12,410 - €12,640. A close above €12,640 should target €12,800. A move below €12,400 might turn the price bearish targeting €12,160. Watch the RSI on a 1-hour chart for any overbought or oversold conditions.